Cold skin treatment is one of the most popular modern beauty rituals. The effects of cold have been known for many years and have been used in many different ways. Beauty experts have long used this practice in spas and skin care. Korean women, in particular, are renowned for their beauty rituals, and cold skin treatment is a constant in their skin care. To complete the saga of the different effects having an activity on the skin as part of beauty routines, let’s take a quick look at what cold can bring in this area. These effects have long been the subject of more or less formal and structured observations. The triviality of application techniques is not conducive to validation work. Routines can in some cases be quite rudimentary, such as ice cubes applied directly to the skin, for example, which is strongly discouraged. The most common technique is to apply an ice cube coated with a fabric to benefit from the effect of cold. However, in some cases, rather strange application techniques have been proposed, but without the cold object, ice cubes or anything else, coming into contact with the skin. 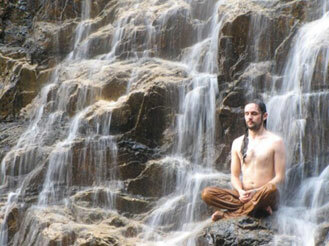 There are also some more or less traditional practices around the cold, such as the famous Scottish shower, updated and modernized nowadays by the science of Ishnân or the science of hydrotherapy. This is a fairly recent practice using the benefits of cold showers. These approaches are based on some other traditional practices such as cold bathing after the sauna in Scandinavian countries. Over the past few decades, techniques and devices using cold have developed and become more sophisticated, offering precise and evaluated techniques. The most common, and probably the most well known nowadays, is cryotherapy, which is cold treatment. The use of cold has been known since ancient times in more or less elaborate forms. This technique involves applying cold to the surface of the skin in order to modify different things. Initially reserved for the treatment of specific ailments, it has undergone more specific development in recent years, particularly in the field of sports and then aesthetics. Among the various effects, cold reduces the size of vessels (vasoconstriction), relieves pain and helps to reduce haematomas. In the world of aesthetics, dermatologists were the pioneers in the use of cold and cryotherapy techniques. First to treat certain skin lesions, then warts and finally pigment spots. The treatment of skin lesions, condylomas, carcinomas and others, is generally done with liquid nitrogen applied either with cotton swab-type devices or with adapted devices. The same goes for warts and pigment spots. In the most important cases, called cryosurgery, these applications are accompanied by local anesthesia. Some professional devices such as the Cryopen are for medical use. Recently, there have been general public facilities for individual care at home. In general, they allow the very localized delivery of a cryogenic gas that will, immediately or in a few sessions, lead to the destruction of the lesion. Examples of cryogenic gases are nitrous oxide (NO) or halogenated cryogenic gases such as Difluoroethane, also known as 152a. Examples include Cryobeauty, zeroverrue or Urgo wart from the eponymous brand. In the field of sport, it is more particularly the treatment of shocks and bruises, illustrated by the famous “magic spray”, that can be seen on almost all sports fields. These sprays are obtained by making aerosol dispensers filled with cryogenic gas. In some cases, the spray can be combined with arnica extracts. Cold bath cryotherapy has been around since ancient times, but it was only in the 1970s that the application of cold by ice bladder, or cold spray, began to interest scientists. The Japanese were the first to develop a scientific methodology to evaluate the results obtained by lowering the skin temperature: it was a Japanese doctor, Dr. Yamaguchi, who developed the cryotherapy chamber in 1978, a chamber where the temperature dropped to -164°C thanks to the injection of nitrogen air. These are also techniques that are now being used to improve stress recovery. Since the 1990s, athletes have been very interested in the effects of cold baths on physical recovery (venous return, hydrostatic pressure, endorphin secretion) and pain treatment. In June 2011, this method is being used for the first time in the professional cycling world, where runners regularly participate in cryotherapy sessions to promote their recovery after exercise. This practice was later extended to many sporting activities. In the field of body care, techniques from the cold will be used with advantage. Cryolipolysis is an aesthetic treatment used to destroy fat cells. Also known as “Coolsculpting”, this technique works on the assumption that fat cells are more easily targeted and destroyed by cold than skin cells. Exposure to cold causes crystallization which leads to the death of subcutaneous fat cells (apoptosis) without damaging other cells. This exposure to low temperatures selectively damages subcutaneous fat while leaving the skin intact. 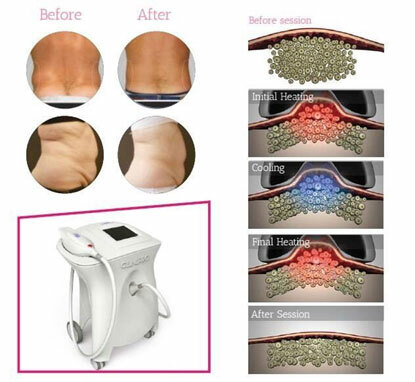 Cryolipolysis was developed to apply low temperatures to the tissue via thermal conduction. Operation is based on a controlled cold temperature of -9°C (beauty salons) to -13°C (doctors). It allows a non-invasive reduction of localized fat deposits. In addition, the effects of cold on peripheral microcirculation, vasoconstriction followed by vasodilation by promoting microcirculation, improves the elimination of metabolic waste. The procedure is non-surgical and is an alternative to liposuction. However, these techniques must be used by trained professionals. There are many devices available. All are calibrated not to fall below 13°C. There is no consumer device. Finally, there is an effect called “Frotox™”, which is presented as the new Botox. Developed in Silicon Valley by Myoscience and marketed under the name Iovera, focus cold therapy is now used in beauty cabins to reduce wrinkles. In contrast to Botox, which acts on the junction between the nerve and muscle by inhibiting muscle contraction, this process only acts on the nerve by temporarily destroying it. A non-toxic and non-invasive practice since no agents are injected into the tissues, which also gives it the name “no-tox”. Needles are cooled with NO2 (nitrogen dioxide) at a temperature between -40 and -60°C. This prevents the muscles from moving. This technique, initially developed to reduce pain, has proven to be effective in improving the skin’s relief. Indeed, the application of cold to the temporal branch of the facial nerve can temporarily inhibit motor nerve conduction, resulting in the inhibition of the voluntary contraction of the frontal muscle groups and the glabella. The Frotox™ therefore acts on the nerves of the forehead. This effect results in a smoothing of the skin, much like botox. It is reversible, and even perfectly reversible according to the authors, since the nerve sheath rebuilds relatively quickly, and the treatment can be repeated. Cold by itself is also of interest. 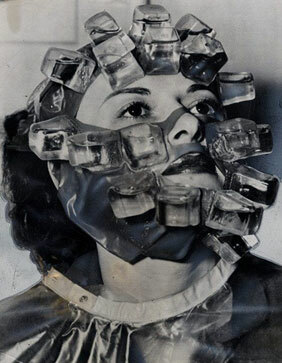 It is on the basis of its effect that techniques have been developed and used in institutes using devices that produce cold to complete certain aesthetic routines. This effect is particularly known as the Peltier effect. The Peltier effect is a thermoelectric effect consisting of a physical phenomenon of heat displacement in the presence of an electric current. The effect occurs in conductive materials of various types connected to each other (contacts). One of the junctions then cools while the other heats up. These devices then produce cold. This effect was discovered in 1834 by the physicist Jean-Charles Peltier. 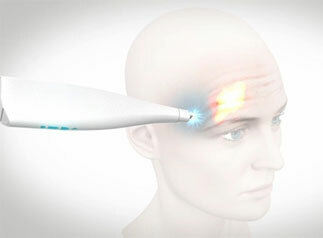 It allows the realization of small “cold head” devices that can be used in the cabin for massage or local application. We find the generic effects of cold. In a very recent development, this effect has been implemented for the design of a very clever system for product conservation. Indeed, cold significantly improves the preservation of all types of products, particularly cosmetics. This device called Beautigloo has just been very recently commercialized. Less well known, but just as interesting is the “thrill effect”. In this approach to slimming products and the fight against cellulite and obesity, the idea is to use a particular property of fat tissue. It has long been known that there are two types of adipose tissue in humans, white adipose tissue and brown adipose tissue. Their functions are significantly different. White is a form of storage, the other is brown adipose tissue or brown fat with a different function. It is particularly abundant in newborns and hibernating mammals. Its main function is to ensure, through lipolysis, thermogenesis in hibernating animals and in newborns who are not yet able to shiver. The white is stored, when the brown is burned immediately. However, the cold weather favours this transition from white to brown. This is called the “shivering effect”. It is at the base of an effect that allows us to hopefully transform body fat from white to brown. The research focused on the idea of finding substances that could reproduce this shivering effect. A first cosmetic active ingredient (Caprylic/Capric triglyceride, Plankton extract, Tocopherol: a micro-alga rich in xanthophylls) claims to promote the conversion of white adipocytes into beige adipocytes, leading to a significant reduction in subcutaneous fat mass. Other specialities based on the same principle have emerged on the asset market. Products and brands in all this? Cold has also found in this field associations with cosmetics and beauty. These are first of all the famous Cold Creams. The invention of this cream is attributed to a doctor of the 2nd century AD, Galen, born in Pergamos, Asia. The story goes that the beautiful Romans applied this cream to soften the irritation caused by the mercury in their make-up product. Since then, this formula has stood the test of time and is still widely used today, particularly in the form of magistral preparations made in pharmacies. It is called Ceratum Galeni, or Galenian Cerat in pharmacy, and it is under this name that it is still known today. 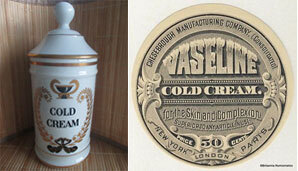 Cold cream is an aromatic cerat from England whose composition is far from fixed and which can be based on compound ceratos in which appropriate medicinal substances are incorporated. Nevertheless, its use is more cosmetic. According to sources, the name “cold cream” has two origins: the most commonly accepted version comes from the fresh feeling that the application of this cream leaves on the skin during application. Another explanation comes from the chronic instability of these products. The creams had to be stored in a cool place to be stored. The product then generated a cold feel, which may have given it its name. By cross-checking, it can be assumed that the term became widespread at the end of the 19th century. In a very improved, very modern and futuristic version, the Ice source is an amazing product. It is a cold product, the cold being obtained extemporaneously by a device resulting from space research (See this story). We will note in passing the ingenuity of using the return to body temperature to improve the effectiveness of the active ingredients. As far as brands are concerned, there are a few that play on this proximity. 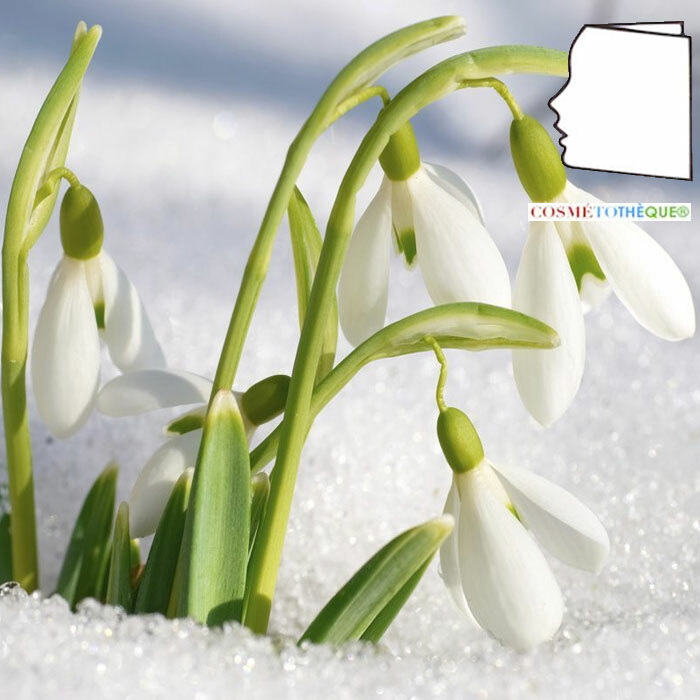 But these brands play more on the presence of specific active ingredients associated with cold, such as plant extracts developing in cold regions, than on the generation of cold or the effect of cold. In this field, we can mention a rather remarkable French brand that operates on this positioning, Polar Skin. Its creator, Daniel Kurbiel, explains his approach. In addition to the active ingredients from polar plants, mention should also be made of another very original initiative: the production of small peptide molecules, called cytokines or growth factors, which grow in regions where it is very cold (Iceland). The company behind this technology has developed a particular approach based on biotechnology, which consists in growing grafted plants using non-contaminating resources, such as the geodetic energy specific to this country, which heats and illuminates greenhouses in which the plants producing these substances grow. A range of products based on this technology is available for sale. A biologist by training, Jean-Claude Le Joliff was an R&D man for many years. Successively in charge of R&D, then Research and Innovation in a large French cosmetics and luxury group, and after an experience of creating a research centre (CERIES), he turned to innovation management. He has also been an Associate Professor at the University of Versailles Saint-Quentin (UVSQ) and remains a lecturer in several specialized teachings: ISIPCA, IPIL, ITECH, UBS, UCO, SFC, etc. 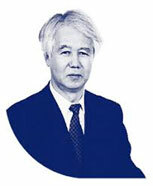 He is the founder of inn2c, an R&D and Innovation consulting company. As a consultant for several international companies, he has actively participated in projects such as Filorga, Aïny, Fareva, and many others. He created the Cosmétothèque®, the first conservatory of the trades and know-how of this industry.